The fairway bunkers are well positioned and simply need a bit more character. They will rotate at an angle, forcing the fairway to jog around the more obvious hazards. 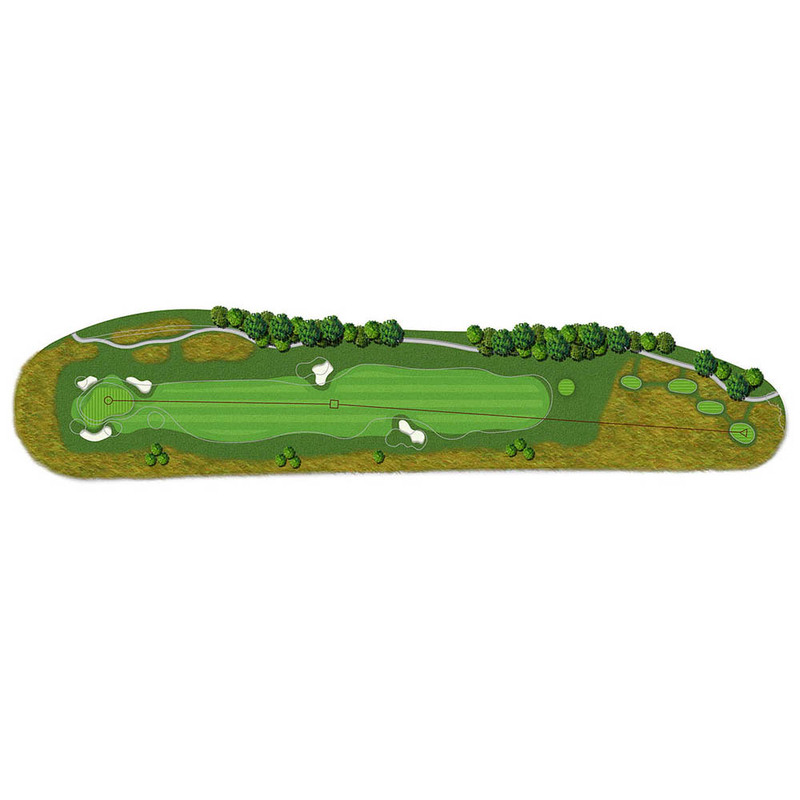 A new forward tee will help more players reach the desired landing zone. The greens complex will be completely reshaped as a new front right bunker combines with a back left bunker to highlight and define the edges of the putting surface. A level chipping area shelf will run along the left collar of the green, setting down about 4’ below the putting surface. The cart path will slide part way down the slope, easing access to and from the green site. Additionally, more playable turf will be added on the right hillside.